The Caine Prize for African writing, an annual literary award for a short story by an African writer published in English, regardless of residence in or outside of Africa, was first founded in 2000 in the UK. This year, the prize was awarded to Tope Folarin’s Nigerian-American short story “Miracle” (see the excerpt at the end of the interview for a preview!) Currently based in Washington DC, he is the first writer based outside of Africa to receive this award. Born and raised in the US, Folarin later spent a year living in Nigeria and a few months in Cape Town but at heart, he considers himself Nigerian-American as he says that both heritages have been integral in shaping who he is. I caught up with him recently to find out more about his writing and his life in general, but don’t expect naughty surprises; it’s all kosher and above board, but still thought-provoking and remarkable. 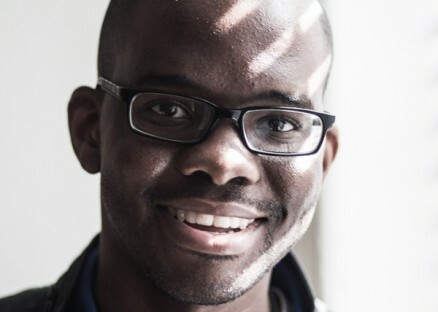 Read Tope Folarin's prize-winning story "Miracle" here. What is the first thing you remember writing and how old were you? I wrote a great deal when I was little. The first story I remember writing was about spiders—I can’t remember the plot, but I remember being quite pleased with myself when I finished it. As it happens, I won a local competition for that story (I was nine years old). I instantly became more ambitious, and I started writing a book that I called “The Knight’s Journey”. I wanted to combine my two favorite genres—fantasy and science fiction—in a single book, so I wrote a story about a knight called "Richard Dragonslayer" who somehow finds himself in a forest composed of trees with doors on their trunks. He chooses a trunk at random, opens the door, and is instantly transported to the year 4000, where humans have evolved into blobs of color. I didn’t finish that book. I found the religious framework in your story very interesting. What inspired you to choose that setting, or what were you trying to convey through it? I thought the church setting would provide me with an opportunity to write about community. The parishioners in “Miracle” take community quite seriously because community is the only thing they can depend on. The young boy comes to realize this at the end—this realization explains his actions. No secret crushes here—I’m happily engaged. I really liked the interplay between the African attitude of poverty and pleading with God vs. the U.S. attitude of self-righteous privilege and the interplay between these attitudes, for example in the line “[a]fter his sweating and shaking and cajoling he shouts another Amen, a word that now seems defiant, not pleading.” Is this in any meta-commentary on how you perceive things to be? I wasn’t attempting to make any kind of meta-commentary—I was merely trying to show how the Prophet goes about building the faith of the churchgoers. The Prophet works in a systematic way; so much so that one can imagine him following the same program in numerous settings. I also got the sense that even though there is an attempt to remember ‘those back home’, i.e. in Nigeria or other parts of Africa, there is also an attempt by the characters to assimilate into the comparative luxury that they are now experiencing and, as a result, a kind of forgetting. Is it important for you that there is remembrance of Africa and other parts of the world in this novel? Absolutely. Memory functions differently for immigrants. Certain memories are sharpened, and others are dampened and exiled. The immigrant happily transmits these amended memories to the next generation; for the progeny of these immigrants, though, these memories will always seem inadequate somehow, not only because they are incomplete, but also because—and the children only realize this later, oftentimes much later—the function of these memories is not to transmit truth, but to facilitate survival. What does winning the Caine Prize mean for you? It’s a tremendous blessing. A moonshot. It means that many more people are reading my work than ever before. It means that all the hard work I’ve put in over the years is being recognized. It means that dreams do come true. If you could ban anything from the earth, what would it be and why? My initial inclination is to say assault rifles—though I’ve argued in the past that perhaps humanity should abandon guns altogether, I’ve many friends who are hunters and thus vehemently disagree with me. Your description of the conspiracy between the pastor who prays for a boy’s eyesight to be restored to him and the boy’s decision to announce to the church that he can see even though nothing has changed is so poignant for me because it exposes so much about how we live our lives combining truth and lies that often contradict each other. What are the greatest contradictions of this kind that you wish you could expose to the world? I wonder how many of us who live in places like America and Europe ever pause to consider how many people—often working in the shadows, often living completely anonymous lives and dying in silence—are working to make our lives easier? The folks who harvest our coffee, mine the materials that are in our computers and smartphones, assemble our computers and smartphones and so on. The major lie that perpetuates our consumer society is that our favorite products just appear in our stores, as if they have always been there. Imagine if consumers were forced to watch a video detailing the provenance of a particular product before purchasing that product. Perhaps we would quickly become inured to such images—like those photos of blackened lungs that adorn so many discarded cigarette boxes the world over—or maybe we’d become more uncomfortable with the lie. What does being a writer mean for you? Being a writer means honoring the essence of who I am. What music do you listen to and who are your five favourite bands or artists? Hard for me to list my favorite artists of all time because that list always changes. At the moment I’m listening to a lot of Stevie Wonder, Donny Hathaway, Beirut, Dawn Robinson, Paul McCartney, Nina Simone, Mahler, Fleet Foxes, Kendrick Lamar, Eric Satie, Janelle Monae, Aretha, Radiohead and Shostakovich (this is based on a quick glance at the most played songs on my iTunes). In a world that is continuously becoming faster and driven towards quick solutions and comfort, why is it that you’ve chosen not only to be a writer, but also a writer who causes discomfort, who writes about what is difficult and what we often choose to ignore? I have to write or I don’t feel whole. So I don’t have much control over that. 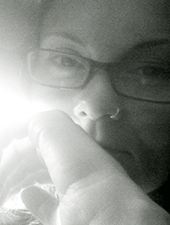 And my writing really comes from a deep instinctual part of me, so I don’t have much control over that either. My only desire is to create deeply compelling, beautiful art. That’s what I’m working towards everyday. Did you enjoy your trip to South Africa for the Open Book Festival and did you get to travel at all? If so, what were your (true) thoughts on the state of the so-called ‘rainbow nation’? It was lovely to be back in Cape Town. I spent a few months there as a college student about a decade ago, and when I arrived in September I really felt as if I’d never left. Cape Town is stunning. It feels like home. I do think inequality is a persistent problem in South Africa and that if policymakers are truly dedicated to ameliorating the problem they will have to enact solutions that are much more comprehensive and robust than those they have implemented in the past. The same could be said about America, of course. That anything is possible with faith and discipline. Do you think people (and writers) are becoming less politicized in general and if so, why do you think this is the case? I don’t think this is the case. There are many political writers out there, and I’m writing from a country that is experiencing a government shutdown precisely because so many of us are so politicized. My favorite fiction writers, however, are more concerned with creating art than anything else. If you were born a woman, who would you want to be? Harriet Tubman. What an extraordinary human being. And that’s all for now folks, as some are known to say, though I bet you’re about to look up Harriet Tubman on Google if you don’t know who she is. And if you aren’t, you should be! We need more women like her in our crazy, topsy-turvy world. And luckily for us, we also have a few good men such as Tope Folarin.